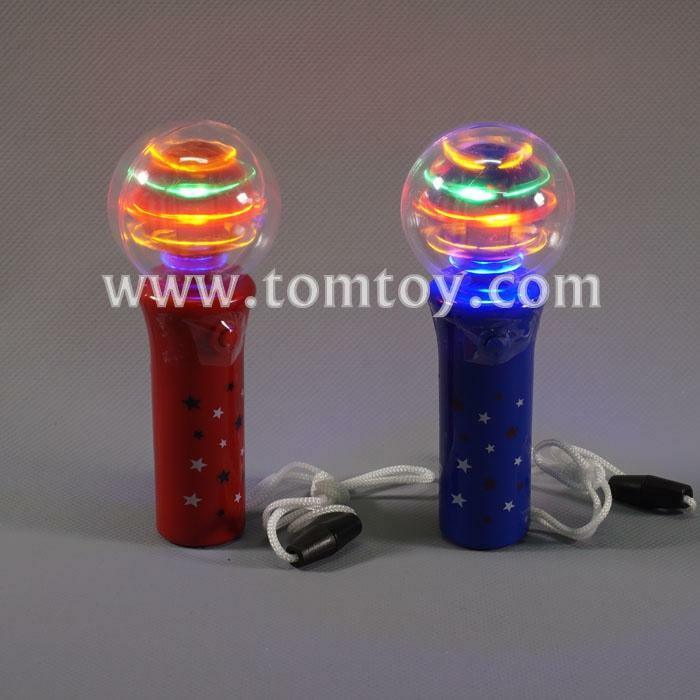 2.This handheld Spinner Wand features red, green,yellow and blue LEDs in the middle of the crystal ball. 3.Simply press the button and watch the spinning light show begin! 5.GREAT GIFT FOR KIDS: Parties,get to togetherness you name it it a great gift.